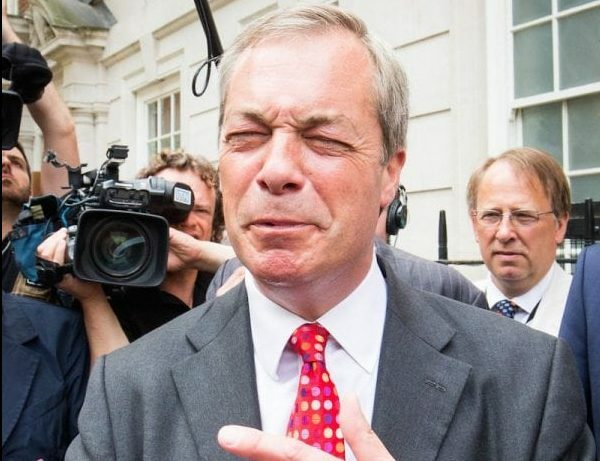 Former Ukip leader Nigel Farage has launched a rival, “similar” but “different” party to Ukip – which he brands “tarnished” by the far right. 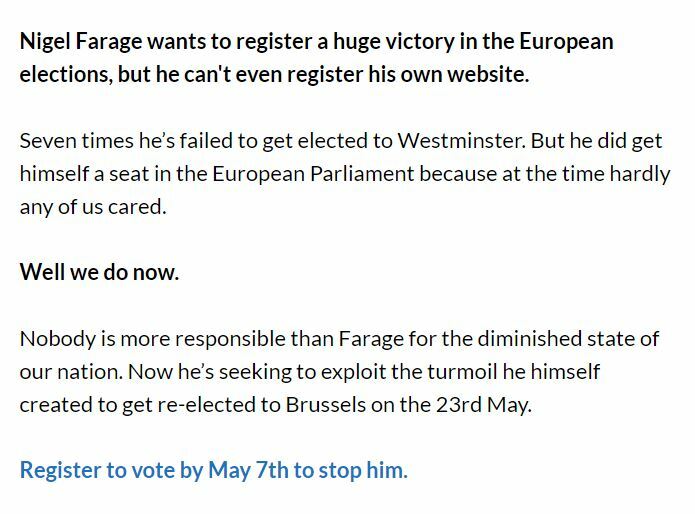 But though he’s registered to stand as a European Parliament candidate, he forgot to register the web domain www.theBrexitParty.com. The domain has now been taken over by his nemesis, Led By Donkeys. 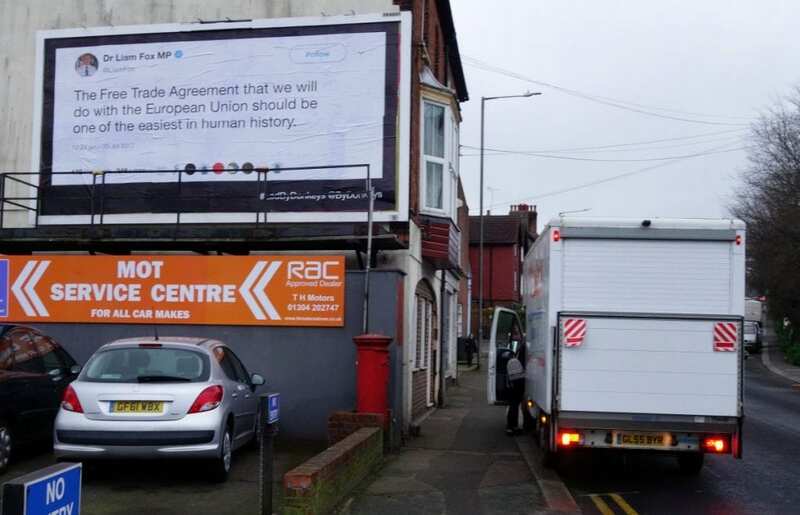 We reported earlier this year, when the pranksters launched a campaign trolling Brexiteer promoting politicians with words and promises they would definitely not want to be reminded of. 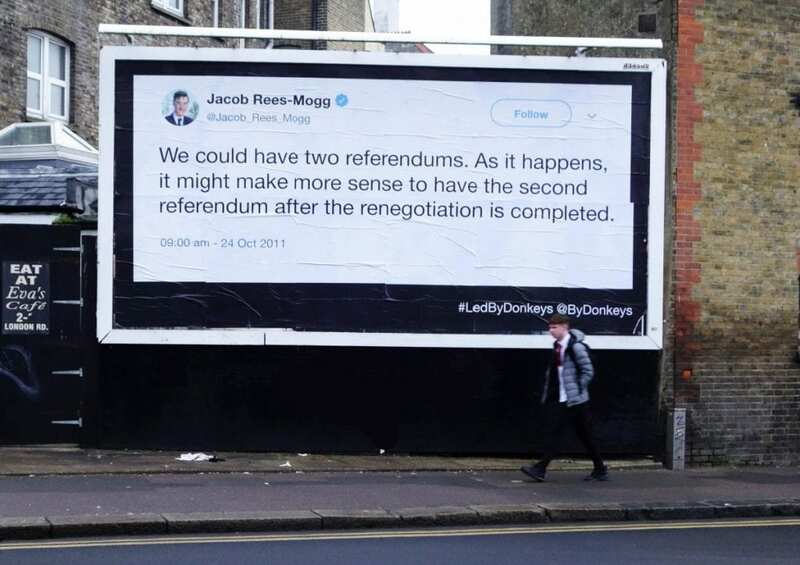 As well as reminding him a week after Brexit failed to happen on March 29, that he vowed to leave the UK. In large letters on the white cliffs of Dover. Today, if you click on www.TheBrexitParty.com, you will find loads more expert trolling, exposing the hypocrisy, ineptitude and words Nigel Farage should regret having said. To his support for Roy Moore, the far right US Alabama senator, who as well as promoting racist birthing conspiracies against President Obama and having homophobic views, has been nototriously accused of sexual assault, indescretions and paedophilia by nine women.